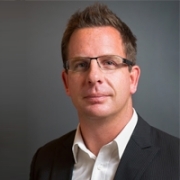 According to NBR, Facebook has poached Google’s William Easton who headed up Mobile and Social at Google Asia Pacific. Mr William will now lead the Australian and New Zealand Facebook operation, based out of the Sydney Facebook office. We reported earlier in the year when the then Facebook Australia MD, Paul Burrud resigned and in the interm the post was taken up by Australian Sales Director Liam Walsh. Previously Mr William worked for such companies as Coca-Cola, Microsoft and Google according to his LinkedIn profile. It seems Mr William also currently runs - www.dimmi.com.au - a restaurant reservations and booking website servicing Australia.